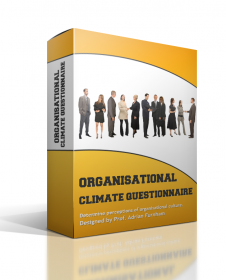 Professor Adrian Furnhan's Organisational Climate Questionnaire measures the climate and culture of an organisation. This excellent product is easy to use and is available for use across the internet or as a paper based product. Contact us to use the internet product on your intranet.